The last pieces to my #AlexanderwangxHM collection are finally in and for this cold weather covering your ears is a must. In this look I am keeping myself warm and comfortable without losing the right amount of cool vibe to rock Manhattan’s freezing streets. 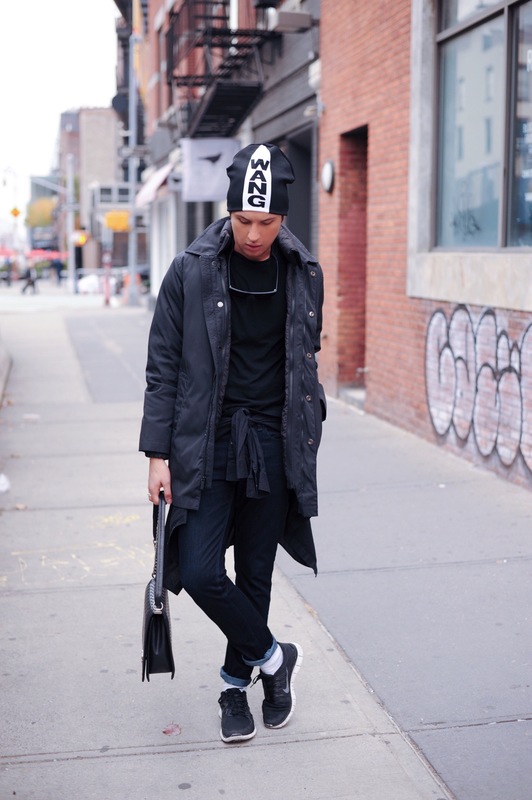 Here I am wearing the Wang beanie and sunglass from his recent collaboration with H&M. A black quilted jacket from Micheal Kors to keep me warm, a black tee from Alexander Wang and a Calvin Klein shirt tied around the waist. 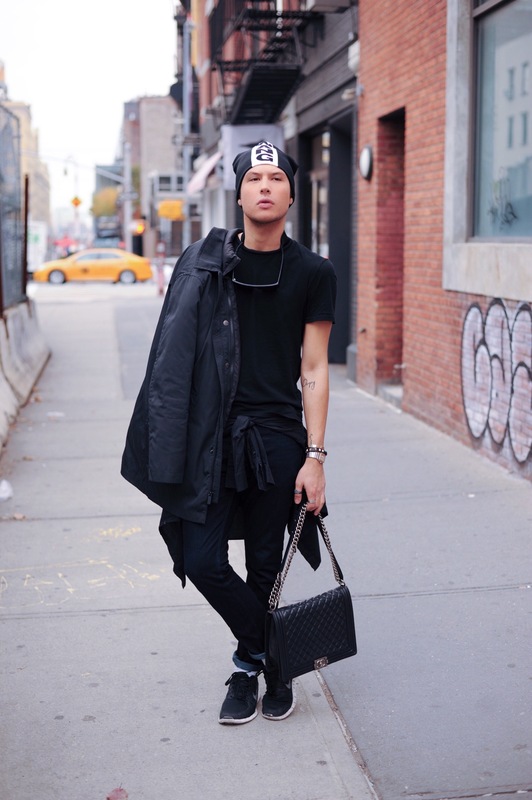 Keeping the look in dark tones by adding dark indigo denim from Joe Fresh, a pair of black runner 5.0 Nike shoes and my Chanel boy bag. The outfit looked sporty chic and comfortable for this nasty weather that’s seems to be here for the next couple of months, keep warm everybody. Las últimas piezas de la colección #AlexanderwangxHM están finalmente en mis manos para este clima en el qué cubrirte incluso las orejas es un must. Con este look me mantengo cubierto y cómodo sin perder la vibra cool que rompe el frío de las calles de Manhattan. Como accesorio estoy usando el beani de Wang y los lentes de su reciente colaboración con H&M. La chamarra de pluma de ganzo de Michael Kors para mantenerme caliente, mi camiseta negra de Alxender Wang y una camisa de Calvin Klein amarrada a la cintura complementan el look. Para mantener los tonos obscuros añadí mis jeans índigo de Joe Fresh, mis tenis 5.0 Nike y mi boy bag de Chanel. El outfit es sporty chic y cómodo para este clima tan complicado que aparentemente estará así por los próximos meses, mantenganse calidos.